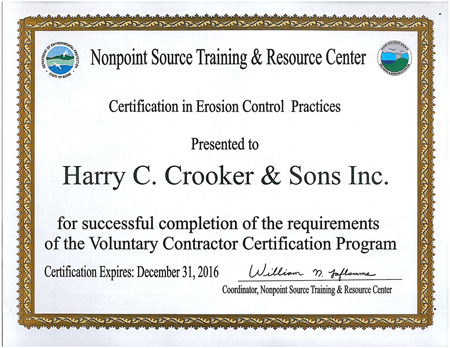 As of December 2013, Harry C. Crooker and Sons, Inc. is now a Maine Department of Environmental Protection Erosion Control Certified Contractor. 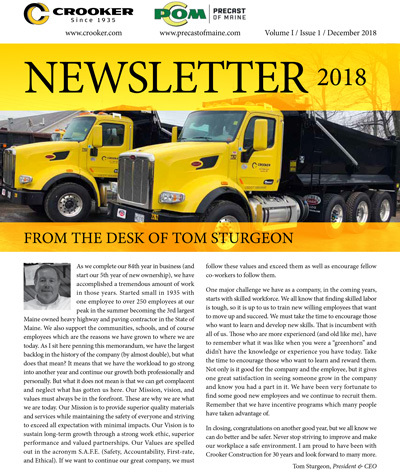 This certification is due to the hard work our employees do in the field to make sure the environment is protected every time we break ground. The qualifications for this certification can be found by clicking here.